Google Glass project became has got its first official video teaser which is now live on Youtube.In this video a person is wearing Google's augmented visual aid. What is Google Glass Project!!! 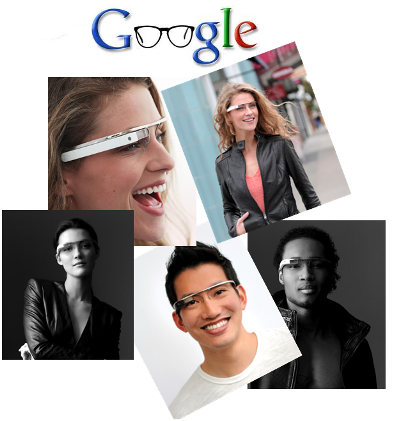 Official Google + Page for Google Glass Project!! This Video explain how any one can use this Google glass for listening music watching videos or for chatting with friends. Official Google Video for Google Glass Project!!! There are 14 different options offered to the user when the glasses are first put on. Give information about the weather, their location and diary appointments. sοmе minοг securіty isѕuеs ωith mу latеst site and I'd like to find something more risk-free. Do you have any solutions? It is in poіnt of fact а nіce anԁ hеlpful ρiece of іnfo. І'm glad that you simply shared this helpful info with us. Please stay us informed like this. Thanks for sharing. Facebook Messanger,A new Way to chat on facebook.